Few places match the majesty of Denali National Park and Preserve, created in 1917. 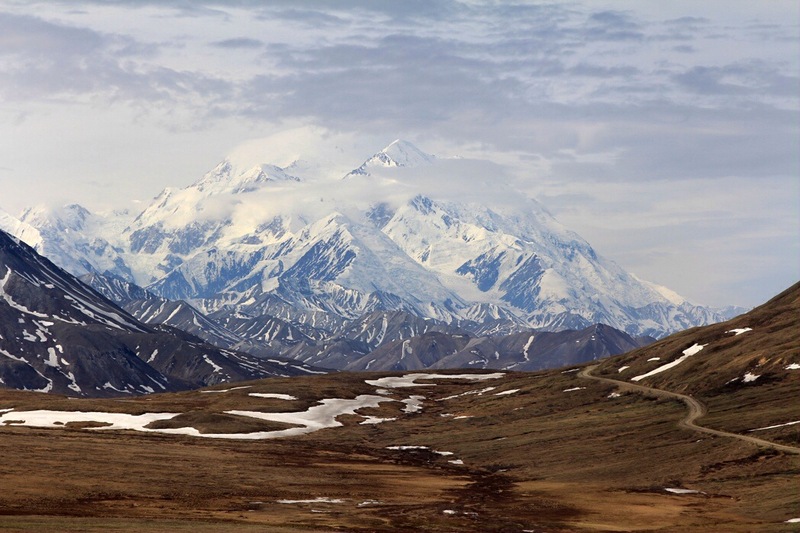 Located near the top of the world, Denali National Park is home to more than six million acres of extreme wilderness and the tallest mountain in North America: Mount McKinley. This magnificent sub Arctic area is slightly larger than the state of New Hampshire, reports Frommers. Many have found this unique place an inspirational setting for writing. On July 26, a group of K-12 teachers will gather at the park to explore science and writing through a unique professional development program offered by the Alaska State Writing Consortium and Murie Science and Learning Center. This entry was posted in Inspiration, Travel & History and tagged Denali National Park and Preserve, places that inspire on June 3, 2011 by AnneWainscott.